Often the cure for dry, damaged frizzy hair does not lie in the huge array of products that you apply after towelling your hair down, but rather the ones that you use while IN the shower. I’m always on the hunt for something that will easily slot into my daily routine, that doesn’t mean pumping loads of products on before blow drying. I often leave my hair to dry naturally, so a moisturising shampoo and conditioner set is a lifesaver for injecting much needed moisture – and my current favourite is the Balmain Moisturizing set including Shampoo, Conditioner and Repair Mask. The set from Balmain comes in this stunning presentation box, which just gives you a hint as to the luxurious results that the products will bring. Better known for their human hair extensions, I feel that Balmain is a little under-the radar with exactly how amazing the actual products are! All three products, the Moisturizing Shampoo and Conditioner, and the Repair Mask, contain pure organic Argan oil which works to repair, strengthen and protect your hair so no need for additional products before blow drying. I would however still recommend using a spray if you are going to use heated appliances as well. The products also contain colour, thermal and UV protection filters which reduce sun damage. I recently had my hair re-coloured and am using the set to help prolong the ‘newly coloured’ shine! My favourite product from the set, and one which I will definitely be repurchasing is the Repair Mask. One of the only products that actually enables a brush to go through my hair after washing, the mask can be left on for up to 15 minutes for the ultimate luxurious treat, leaving hair noticeably more manageable, again reducing the need for extra products after showering. Overall I would recommend this set to you if you are looking for a serious moisture injection and want soft glossy hair without adding lots of new products to your hair routine – Balmain hair products are available online here as well as some products in selected larger Topshop stores. 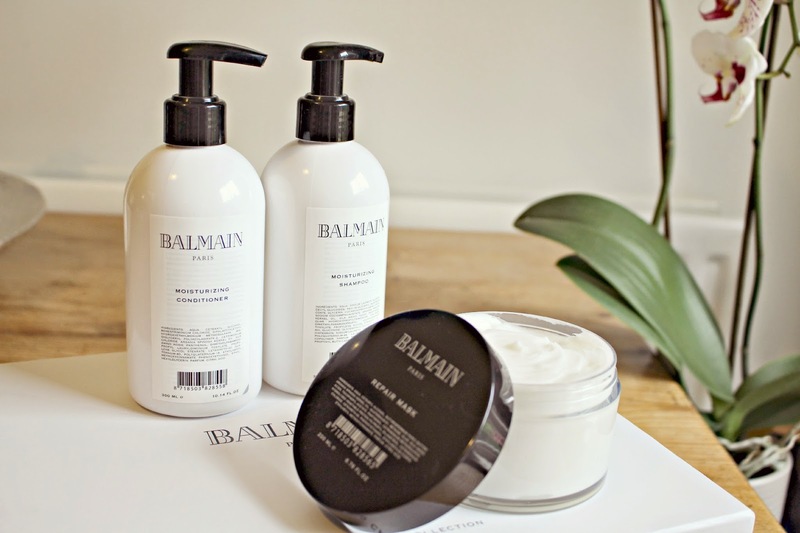 Have you ever tried Balmain hair products?